Dementia is not a specific disease. It is a broad term that describes a wide range of symptoms that cause the decline of someone’s memory or thinking abilities. The most common type of dementia is Alzheimer’s disease but it also includes illnesses like Parkinson’s or vascular dementia. What all these medical conditions have in common is the slow decline of a person’s memory, their reasoning skills, and their ability to carry out basic day-to-day tasks. Although dementia primarily affects the elderly, it is not a normal part of aging and is not inevitable. Instead, dementia is a complex medical condition that happens for reasons still not fully understood by the medical community. To receive the diagnosis of dementia, an individual usually has to show a number of the signs below. forgetting what they were supposed to do on any given day. We all forget things from time to time so the occasional loss of memory is not an immediate cause for concern. What makes dementia stand out is an ongoing loss of memory coupled with some of the symptoms below. At times, everyone struggles to find the right words to express themselves and their thoughts. But, an early symptom of dementia is struggling to communicate those thoughts at all. If this happens on a constant basis or if a loved one suddenly has a difficult time speaking in coherent sentences, this may be an early symptom of dementia. have become a lot more difficult to carry out, this is usually a prominent sign of early dementia. are other personality changes that you may notice as well. When someone starts exhibiting behavior that is significantly out of the ordinary for them-especially if there is no particular cause for it-then this is also a worrying sign. Confusion is a medical symptom that is much more difficult to pin down because there are many reasons that someone might suffer from confusion. First, it is important to note if the confusion is short term or long term. Did the confusion come and go or is it constantly there? 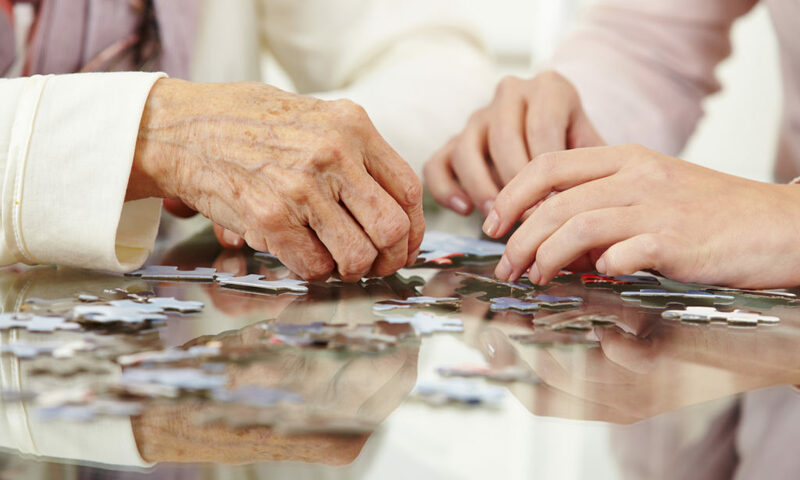 People in the early stages of dementia may often become confused. Lapses in memory, thinking, or judgment can cause confusion to arise. This may be manifest as someone who can no longer remember faces, cannot communicate properly, or is no longer able to interact with people as they once did before. Many of these symptoms on their own should not be a cause for concern right away. However, if you notice a number of these symptoms or one in particular that appears to be getting worse, then make an appointment to see your doctor. If something doesn’t feel right about new behavior that you’ve witnessed in either yourself or a loved one, then it’s important to talk to your physician sooner rather than later.